What Is Root Canal And How Long Can It Take? Dental implants – the be all and end all? In recent years the loss of a tooth no longer condemns patients to a life of dentures or bridges. These days many lost teeth can be effectively replaced by dental implants. But what does dental implantation involve? First of all dental implants require a place to reside in i.e. the bones of our jaws. If there is inadequate bone for an implant to reside in, often grafting of the area is necessary to create space for our little implant to live in! An area needs to be created for our implant. Essentially this involves peeling back the gums to expose what’s underneath, and preparing a space for the implant, much like how you would prepare a space for a screw on a piece of wood. This is of course performed while the patient is nice and numb. Modern implants integrate with our jaw bones very reliably these days, much like other titanium implants used in other parts of the body. It is however necessary to keep implants monitored and clean to prevent gum disease around an implant, i.e. peri-implantitis. The process of intergration can take up to 3 months (the same amount of time it takes for a broken arm to heal). So what’s next? If you can imagine the implant being the “root” of the tooth that resides in the bone, then there must also be a crown! 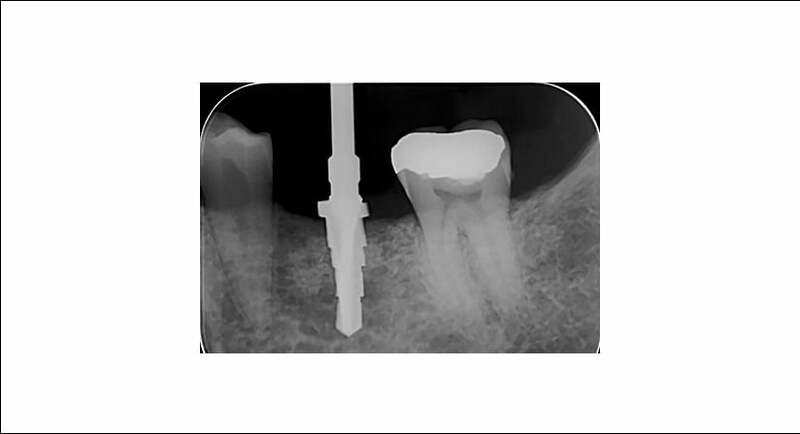 After an implant has been successfully integrated, a crown can be custom fabricated to sit on top. This is the actual part of the implant that you can see above the gums, and also what you smile, talk and eat with! As you can see, the whole process of dental implantation takes a lot of time and planning. Book an implant consult today at Marsfield Dental Care to see what avenues you could take and whether you are suitable for dental implants! If you're looking for a dentist in Sydney who takes genuine care in their work and the well-being of his or her patients, call today and let Dr Choo, Dr Ip and their friendly staff look after you, your family and those pearly whites! We are conveniently placed next to Woolworths, with parking available. We are also close to bus stops and Macquarie University Station. Keep up to date with our latest updates.